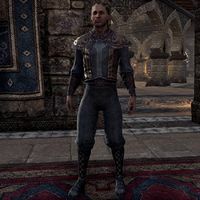 Ratib is a Redguard commoner who can be found in Saint Olms Plaza in Vivec City. He cannot be talked to. Prior to the Homestead update, he could be found at the Sisters of the Sands Inn in Sentinel.